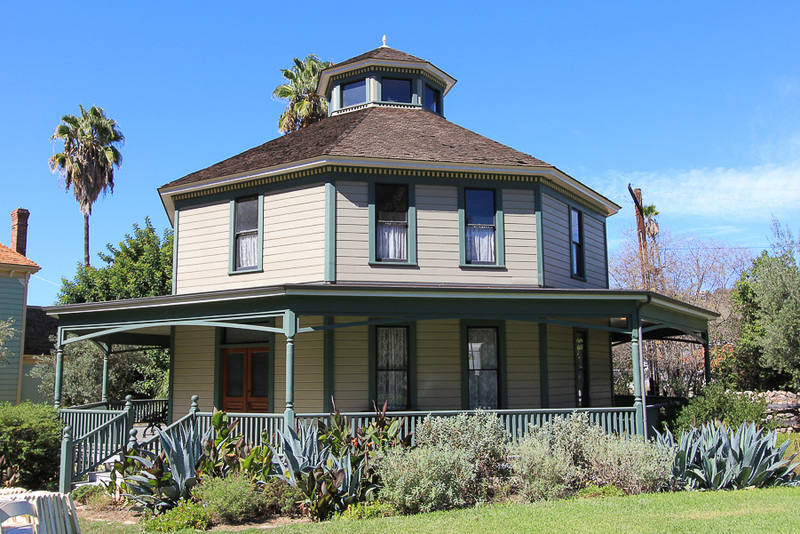 October 9, 2015 - Today we went to the Arroyo Seco area in Los Angeles to see the Heritage Square Museum. 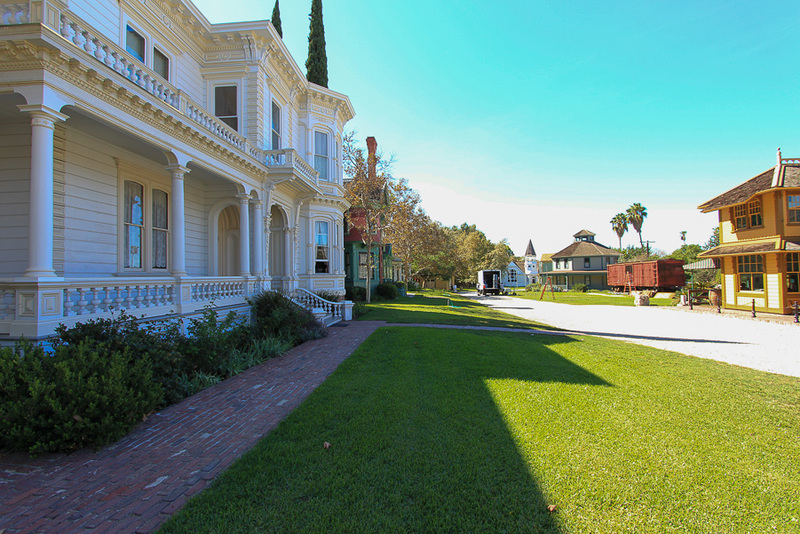 The Museum explores the settlement and development of Southern California during its first 100 years of statehood. There are nine structures grouped together as if in a small neighborhood. Six were residential homes, two were commercial buildings and one was a church. They were all built between 1876 and 1899, except for the Colonial Drug building. Interior photography wasn't allowed in any of the buildings. Some of the buildings were completely restored and some hadn't been restored at all. 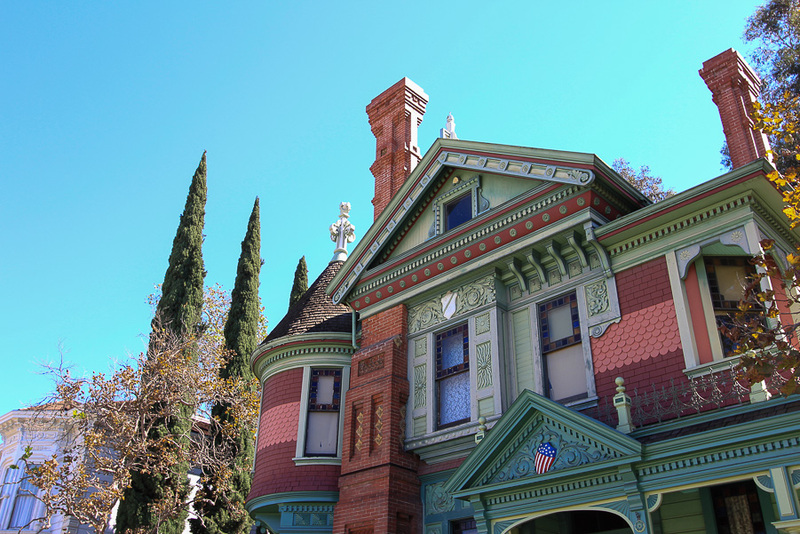 This first building, the Perry House, was completely restored and was a sight to see. 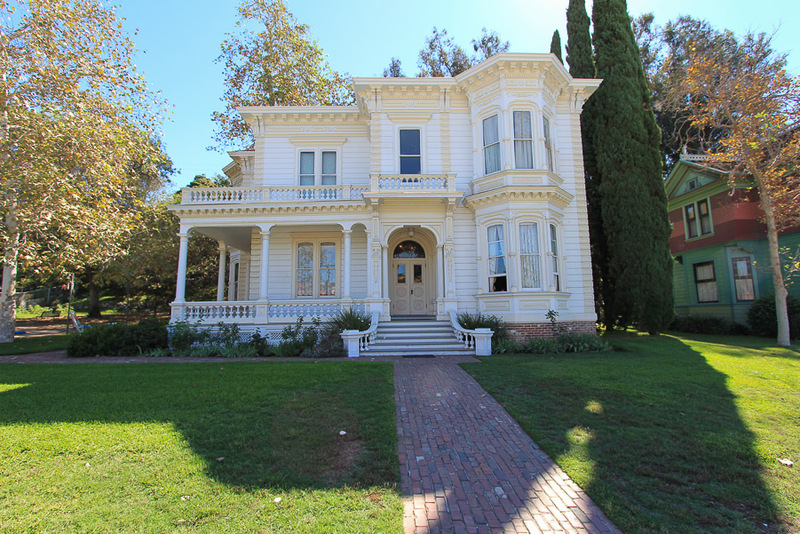 It was built in 1876 and is of a Greek Revival-Italianate style. 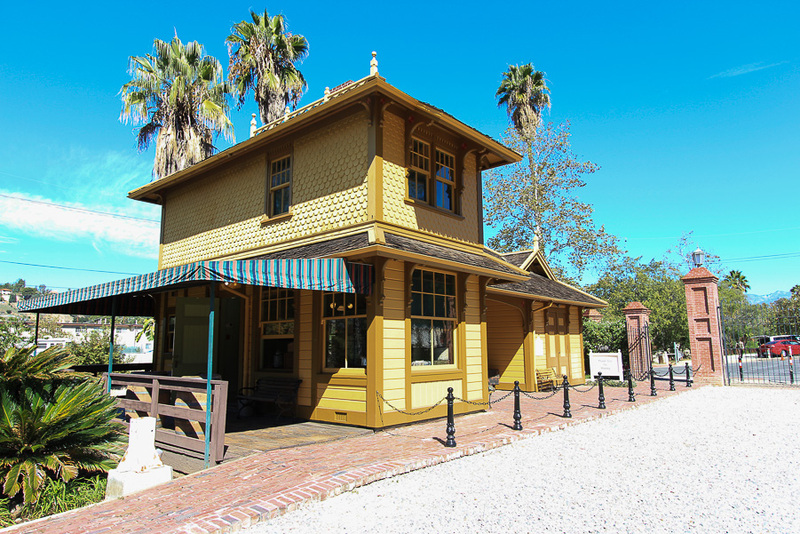 One of the commercial buildings is the Palms Depot, built in 1887, in the Eastlake style with a Dutch gable roof. 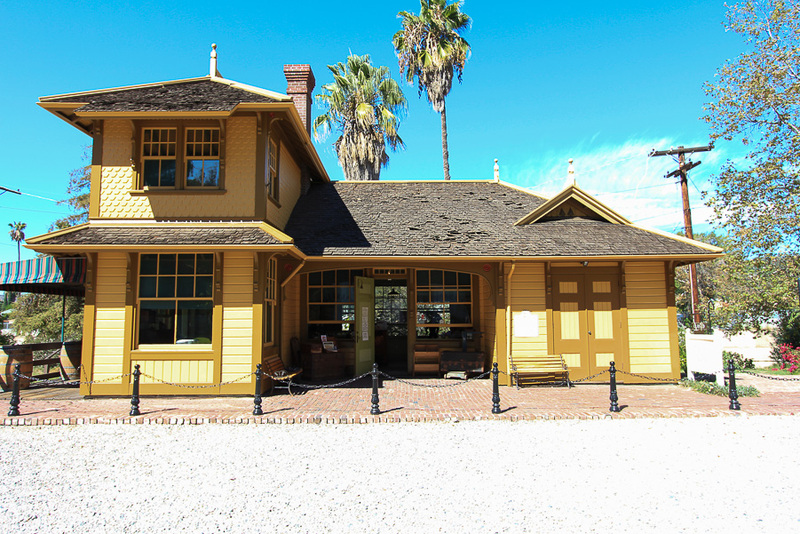 It originally stood along a local Southern Pacific Railroad line. 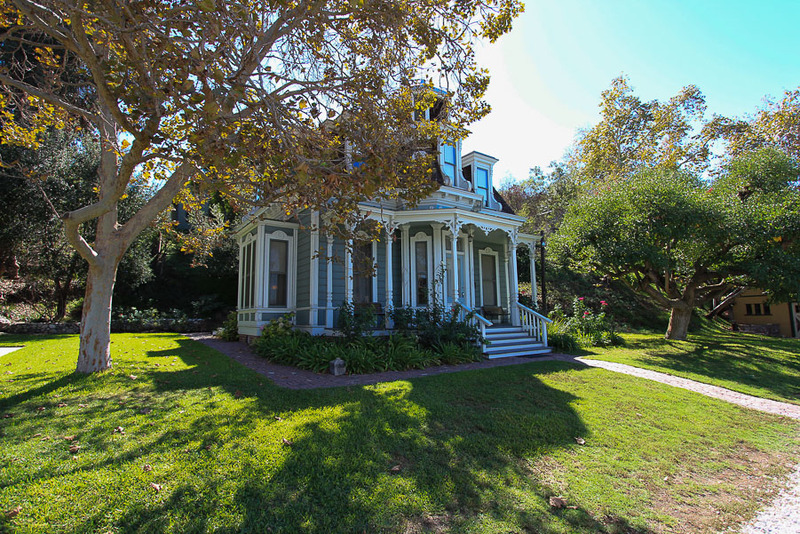 The next home is the Valley Knudsen Garden residence built in 1883-1884. 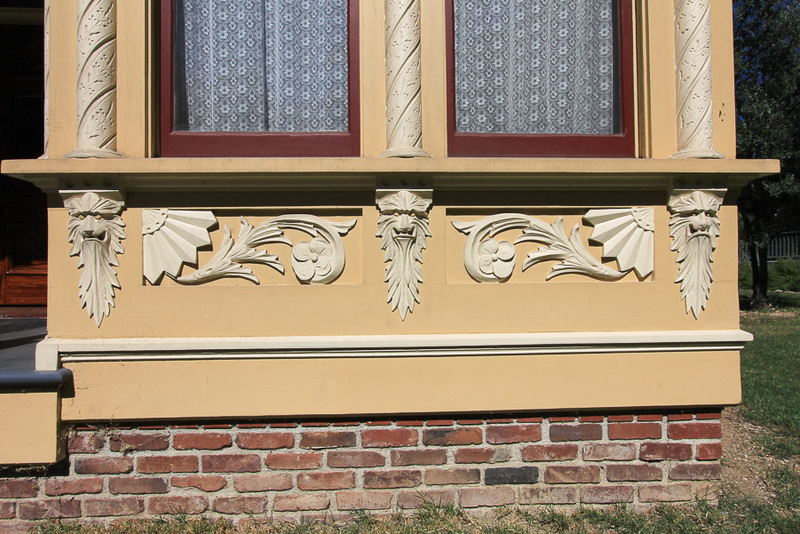 The French influence is apparent from the Mansard roof, but many Queen Anne details can also be found (fish scale shingles, dentil blocks). 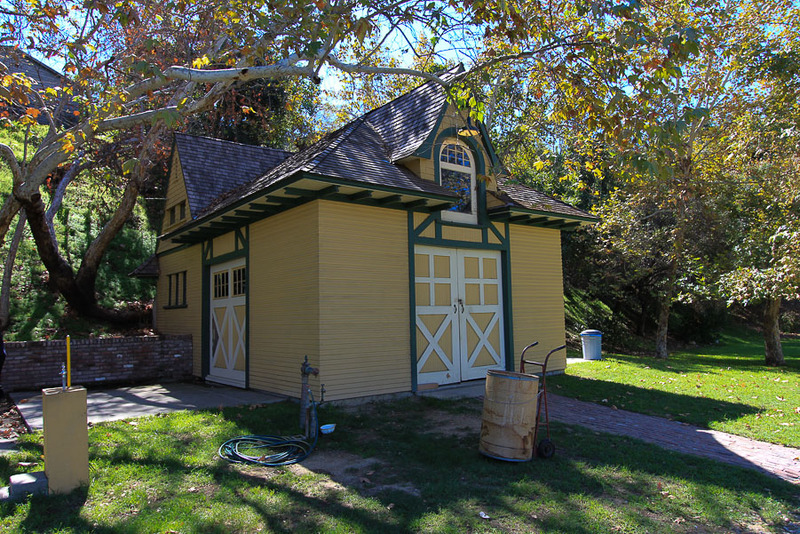 The Carriage Barn, built in 1899, originally was used to stable two horses and one carriage. 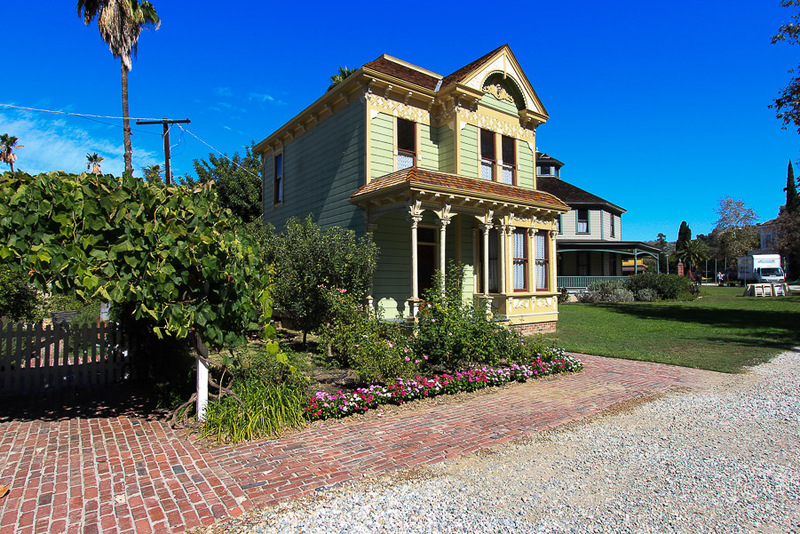 Its style is Carpenter Gothic and was converted to a residence in the early 1900's. 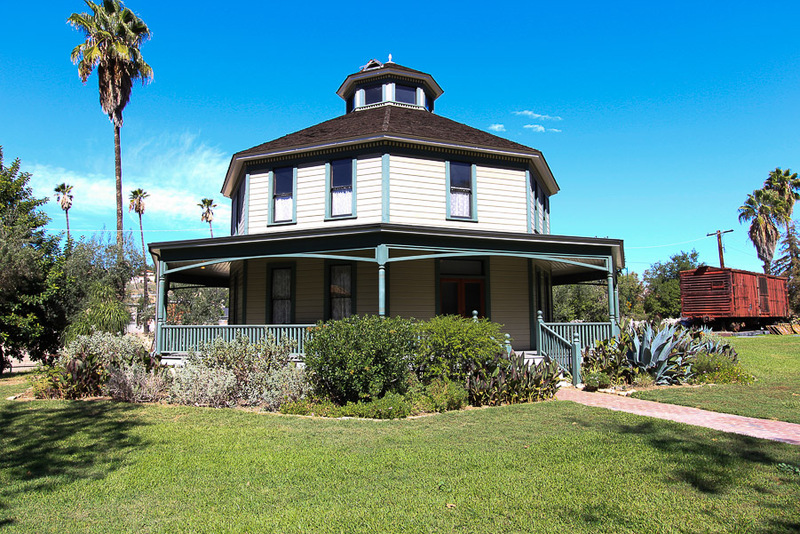 This is the Longfellow-Hastings Octagon House, built in 1893. It has not been restored inside, but is fairly interesting in its construction. 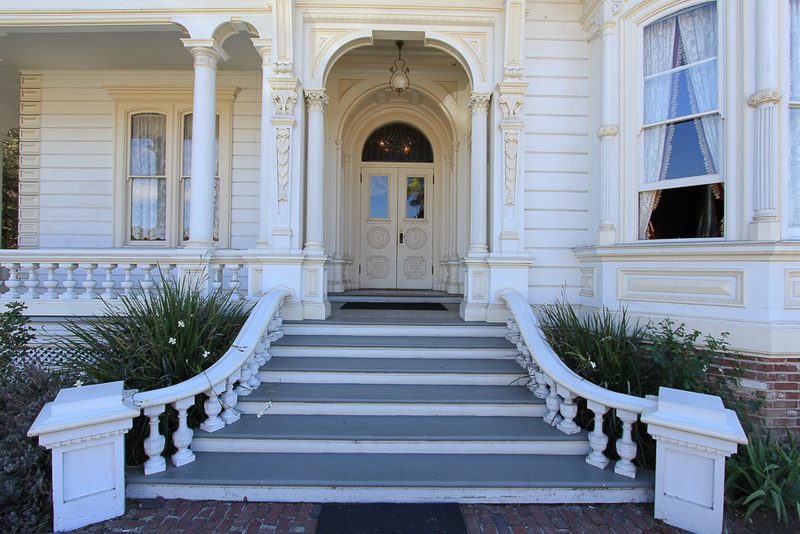 There are four rectangular rooms on the first and second floors and a square spiral staircase in the center of the building going to the third floor widow's peak. Judy and I wouldn't want to live there since all the rooms were the same, it was hard to get your bearings once inside. This is the Lincoln Avenue Methodist Church, built in 1897. It was designed by George W. Kramer who designed over 2,000 Methodists churches throughout the world. 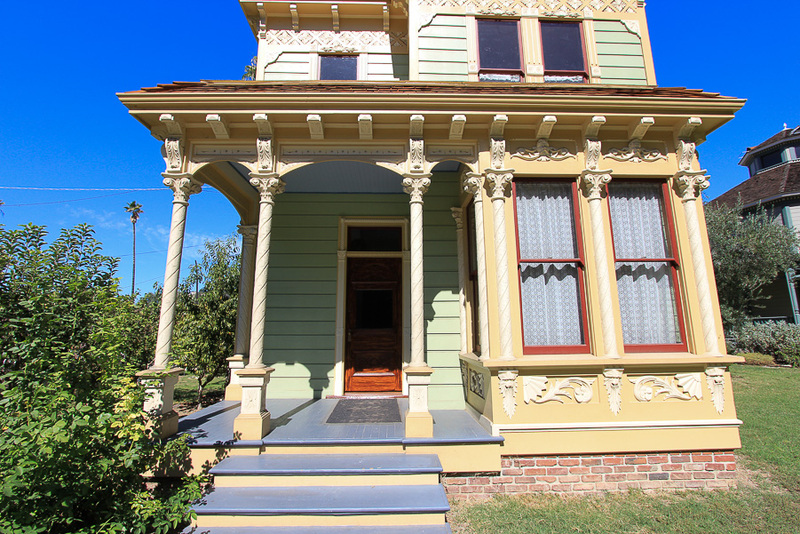 His design combines Carpenter Gothic, Queen Anne and Neo-Classical elements. 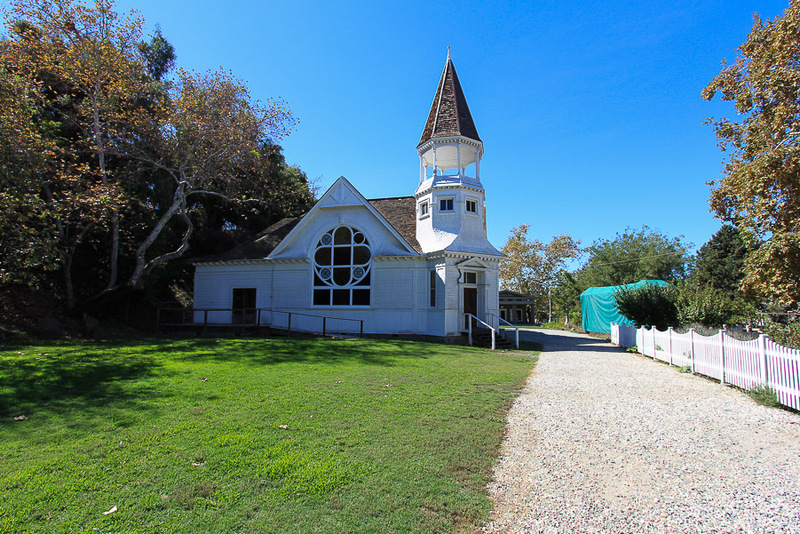 The floor plan follows the Methodist tradition of non-axial, or "Akron style," the entrance is located in one corner of the building opposite the pulpit. The front and back pews are short lengthening to the long pews in the middle. 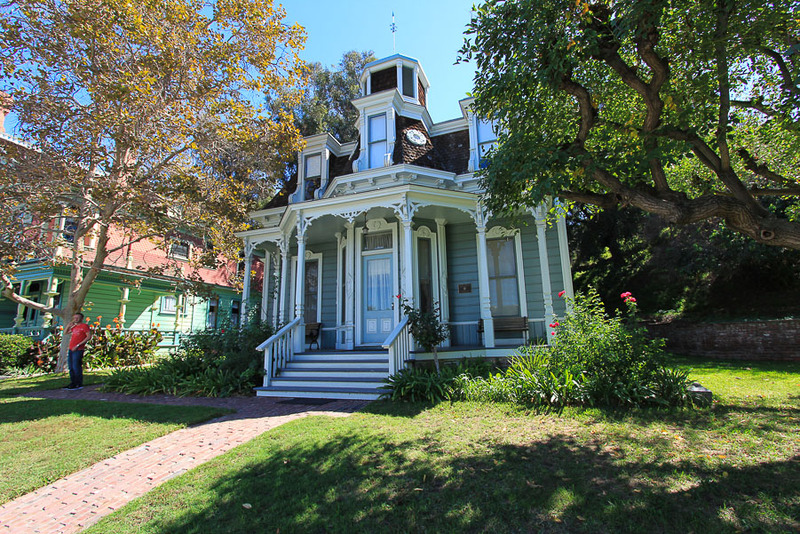 This next residence is the John J. Ford House, built in 1888. It would be unremarkable today if not for its owner, John J. Ford, a prolific and well known wood carver. His work can be seen at the California State Capital, the Ioliani Palace in Hawaii and Leland Stamford's private railroad car. 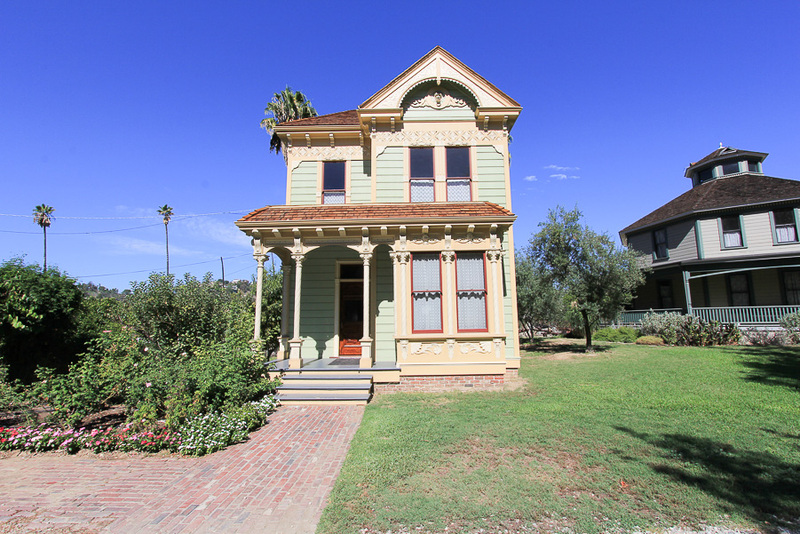 Its design is a combination of Italianate, Eastlake and Queen Anne styles. 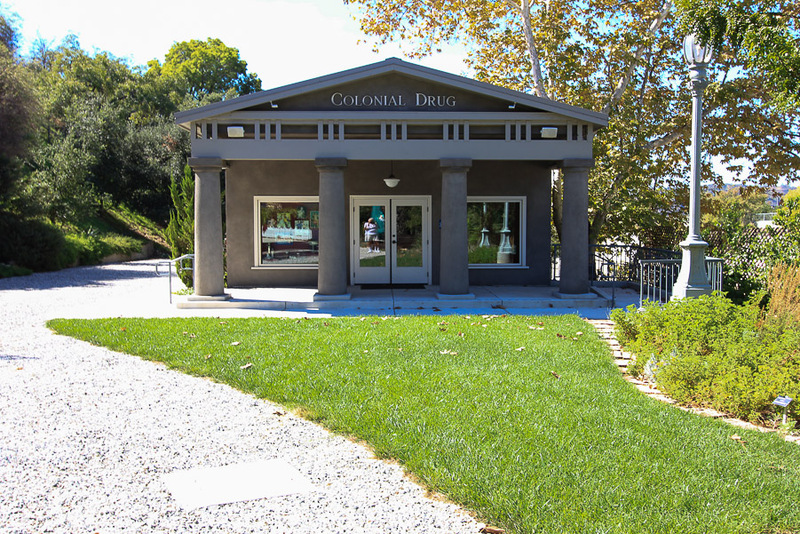 The Colonial Drug building is a replica of a building still standing about one mile away. It was originally a bank but was later converted to a drug store that was in business for over sixty years. The original building is now a bank once again. In memory of its owner, George A. Simmons, the Simmons family generously donated the original fixtures, vintage soda fountain, and his unique collection of drugstore products to help Heritage Square recreate Colonial Drug from the ground up. 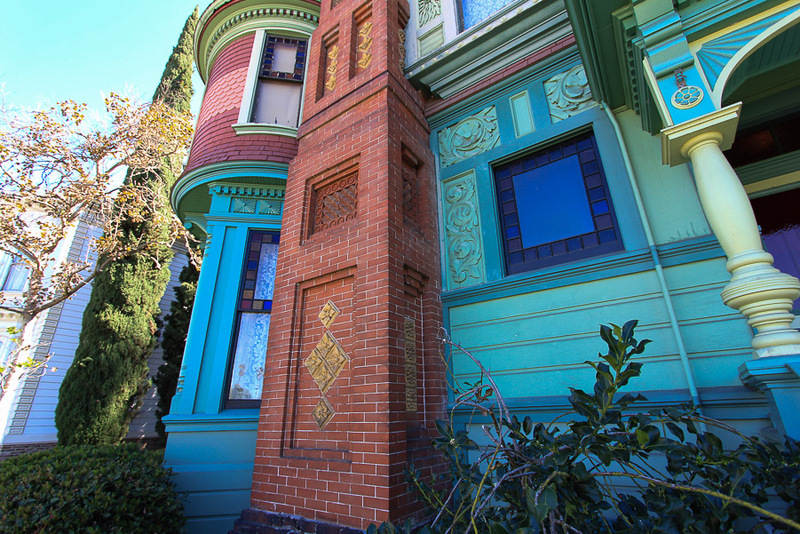 The last building is the very impressive Hale House, built in 1887-1888. 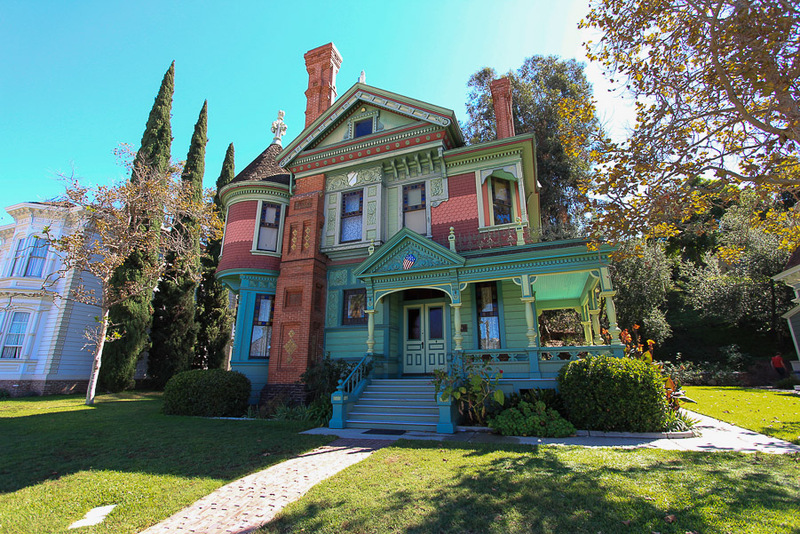 It is a classic Queen Anne-Eastlake style house that includes fish scale shingles, corner turret, iron grillwork and dentil blocks (corbels). 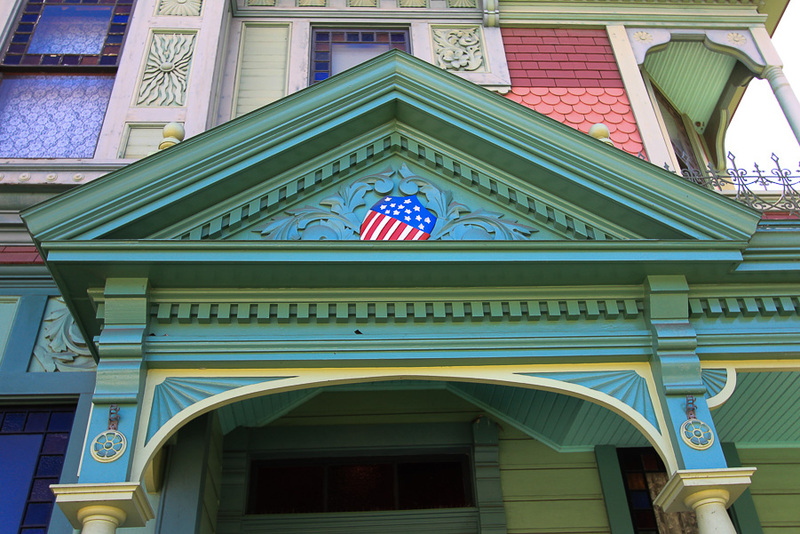 The exterior colors are four shades of green, three of red, yellow and Victorian black trim, reproduced from the original paint uncovered during its restoration. With its asymmetrical design, it is stunning. 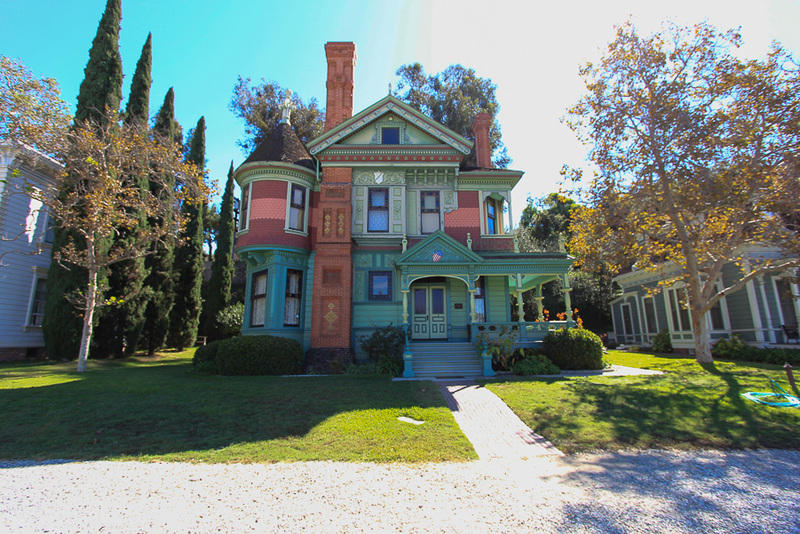 We've been to many historic houses in Southern California but they've all been dozens of miles apart. It was so refreshing to see so many different styles all in one location. The "Lunch Report" today was our stop at Philippe's restaurant by Union Station. It was a double-dip beef French dip for me and Judy had the same thing, but, hers was with Blue Cheese! It was outstanding!